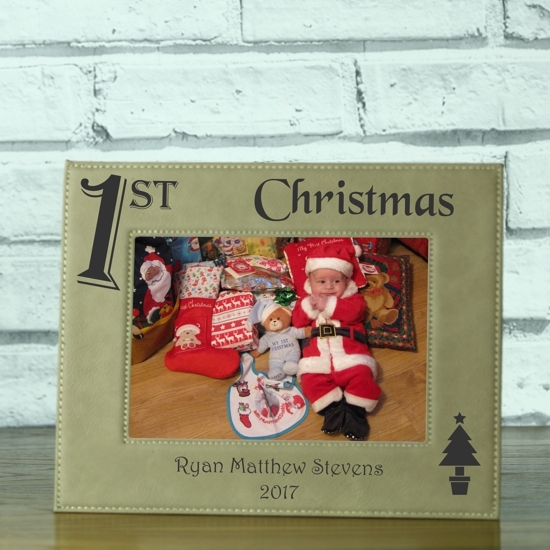 Baby’s first Christmas laser engraved brown leatherette photo frame. 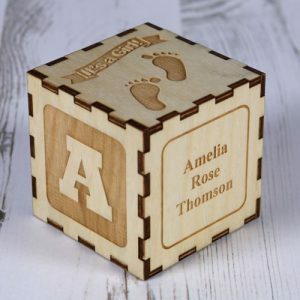 A wonderful personalised gift and treasured keepsake. 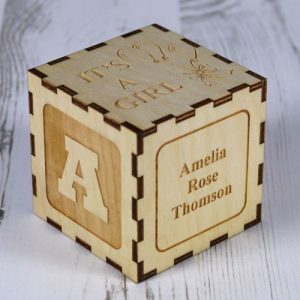 Celebrating a baby’s 1st Christmas is always such beautiful and joyous moment. So a great way to capture that magic moment is with our stunning leatherette laser engraved ‘1st Christmas’ photo frame. 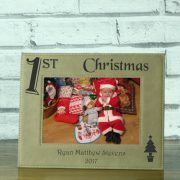 The top of the frame is laser engraved in large text ‘1st Christmas’ and in the bottom corner a Christmas tree. 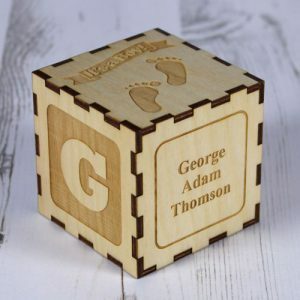 Centre to the bottom of the frame you can personalised it with your special message that we will expertly engrave to make this a truly wonderful personalised keepsake to cherish for years to come. 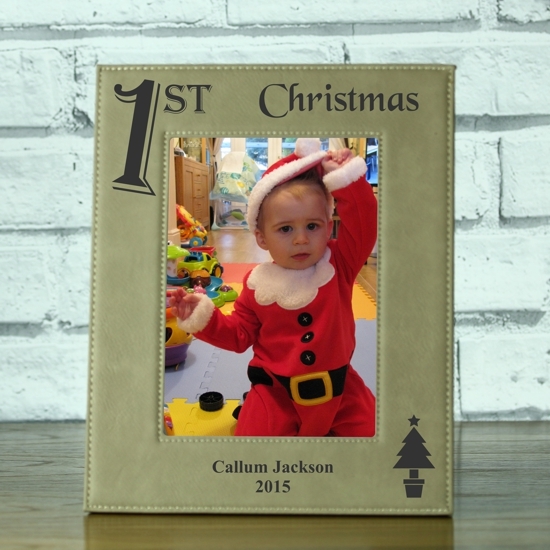 Our leatherette photo frames make an extremely affordable and distinctive personalised gift for any occasion. These stunning frames are personalised by way of laser engraving which then result in an amazing two colour contrast. Available in a choice of black or brown, these quality frames present an extremely sophisticated look and feel. Earn 116 Reward Points worth £1.16 with this product.